Former Deputy Associate Attorney General Bruce Genesoke Ohr is hitting the news again as a key player in the Crooked Hillary/DOJ/FBI Russia hoax. Quote: The lawmakers say Ohr’s close relationship with former British spy and dossier author, Christopher Steele is deeply troubling. Also concerning to lawmakers is the fact that even after Steele was terminated by the FBI (he worked as a source until he was fired for “unauthorized disclosure to the media of his relationship with the FBI”), Ohr continued to supply documents from the ex-spy to the bureau. Lawmakers tell SaraACarter.com that the interview documents (known as 302s) should be declassified because they believe it will reveal the extent of Ohr’s involvement with Fusion GPS, his relationship with Steele and Fusion GPS owner Glenn Simpson, and his communications with FBI officials investigating Trump’s campaign. Bruce Ohr funneled information from Steele and Fusion GPS directly to the FBI even after Steele was fired, according to Nunes’ FISA memo which was declassified in February. Bruce Ohr’s tight relationship with the FBI was confirmed by Peter Strzok in his Congressional testimony a couple weeks ago. Peter Strzok admitted Bruce Ohr gave the FBI extensive material related to Hillary’s phony dossier. In May, Senate Judiciary Chairman Chuck Grassley (R-IA) sent a letter to the Department of Justice demanding communications between former Associate Deputy Attorney General Bruce Ohr and dossier author, former British spy, Christopher Steele. Grassley sent another letter to DAG Rod Rosenstein in July formally requesting the declassification of the FD-302 interview summaries in which Bruce Ohr relayed his contacts with Christopher Steele, and requested that they produce the declassified versions directly to the Senate Judiciary Committee. “There is no continuing justification for the FBI to keep the documents secret,” Grassley said in his letter. Sean Hannity warned Thursday evening something big is coming out that will blow the Russia hoax out of the water. In 2001 Ohr presented a paper at the United Nations Asia and Far East Institute for the Prevention of Crime and the Treatment of Offenders (UNAFEI), entitled "EFFECTIVE METHODS TO COMBAT TRANSNATIONAL ORGANIZED CRIME IN CRIMINAL JUSTICE PROCESSES." Oh the irony! (08-03-2018, 10:43 PM)Armando Ramos Wrote: Former Deputy Associate Attorney General Bruce Genesoke Ohr is hitting the news again as a key player in the Crooked Hillary/DOJ/FBI Russia hoax. 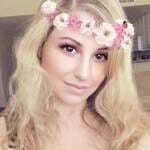 Harvard physics major! Another "genius" that thought he was too smart to get caught. "He graduated from Harvard College in 1984 with a degree in physics..."
One suspects he did the physics thing to satisfy dear old dad, who also was a physics dork. If you Google Scholar "SM Ohr" you can find his publications. The FBI has been crooked from day 1 under J. Edgar Hoover. Their main objective is to collect dirt on presidents to guarantee their position. They are a totally political part of the swamp and should be ended. (CNSNews.com) - Rep. Devin Nunes (R-Calif.), the chairman of the House intelligence committee, said Republicans investigating the origins of the Trump-Russia investigation "are getting closer and closer to having the information that we need." Nunes said the Justice Department is now producing documents subpoenaed by Republican committee members months ago. Republicans now want President Trump to declassify some of that information so the public can see why and how the FBI launched its investigation, beginning with the FISA warrant on Trump campaign volunteer Carter Page. Nunes indicated that the focus is on Bruce Ohr, a high-ranking Justice Department official in the Obama administration whose wife Nellie worked for Fusion GPS, the firm hired by the Democrat National Committee and the Hillary Clinton campaign to produce opposition research -- the Christopher Steele dossier -- on Donald Trump. "Bruce Ohr is going to become more and more important," Nunes told Fox News's Sean Hannity Monday night. 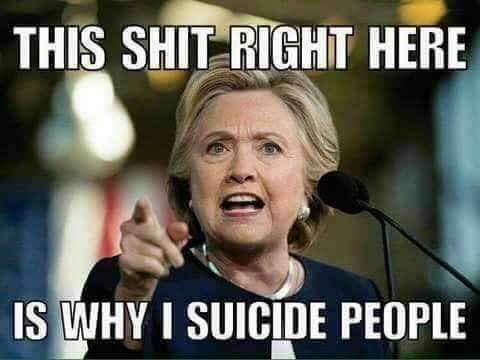 "So the FBI interviewed Bruce Ohr at least a dozen times and put together reports. So once they fired (dossier author Christopher) Steele, which at that point they should've not been meeting with him anymore, but what they had is, they had Bruce Ohr, whose wife Nellie Ohr was working for Fusion GPS -- was going to meet and still get the information from Christopher Steele as they were trying to verify this unverified dossier, or the Clinton dirt that was used to get the FISA warrant." At a congressional hearing last month, under questioning from Rep. Jim Jordan (R-Ohio), FBI agent Peter Strzok testified that the FBI did receive "material" from Bruce Ohr that included elements of the Steele dossier. Jordan believes the dirt compiled by Steele went from Glenn Simpson, the co-founder of Fusion GPS, to Nellie Ohr, to her husband Bruce Ohr, and then to the FBI, which used it as a reason to spy on the Trump campaign. "The top DOJ official Bruce Ohr actually hands parts of the Dossier to the FBI," Jordan said. "And remember, Bruce Ohr's wife Nellie worked for Fusion GPS who was paid by the Clinton campaign to put this entire dossier together. This is the first time to my knowledge that the FBI has admitted they got parts of the dossier from Bruce Ohr, a fellow DOJ employee. "This investigation started flawed with the dossier," he added. Nunes on Monday night told Hannity that the media in 2016 knew all about the Steele dossier, including the fact that it was "being generated by the Clinton campaign." "You had DOJ, FBI, all those cast of characters that were meeting regularly with Christopher Steele. You have Bruce Ohr, the number four at the Department of Justice who I think is going to become a more and more important figure in this, and a lot of the investigative reporters should be looking closer at Bruce Ohr." Why investigate when you can just make stuff up? Even if you aren't a Trump fan, remember that if they can do this to him they can do it to anybody, including you. 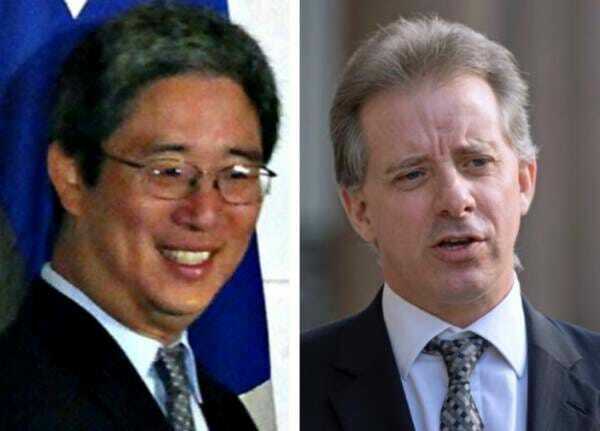 Investigative reporter John Solomon released a report detailing some of the text exchanges between Bruce Ohr and Christopher Steele. Although memos show the FBI specifically instructed Steele he could no longer “operate to obtain any intelligence whatsoever on behalf of the FBI,” Bruce Ohr continued to be the FBI’s back-channel to the former British spy. John Solomon spoke with FOX News’ Sean Hannity Tuesday evening and said, “the real conspiracy that we’re all gonna be looking at in a month from now will be the one inside the Justice Department to defraud the FISC court…I believe that’s where this goes,” Solomon told Hannity. Hannity asked John Solomon to elaborate on his statement about the DOJ defrauding the FISA court. REWIND- Monday evening Nunes told the Hannity to pay close attention to Bruce Ohr. Also–you heard it here at TGP first—Look for President Trump to declassify the June 2017 Carter Page FISA renewal this month, says investigative reporter, Paul Sperry. Deputy Attorney General Rod Rosenstein and then-Deputy Director of the FBI Andrew McCabe both signed offon the June 2017 Carter Page FISA renewal–things could get interesting! (08-05-2018, 03:52 AM)Fort Bragg Wrote: The FBI has been crooked from day 1 under J. Edgar Hoover. Their main objective is to collect dirt on presidents to guarantee their position. They are a totally political part of the swamp and should be ended. Right you are, Fort Bragg. Recent WSJ article highlights Hoover's wiretapping of Goldwater, but he surely was at it long before then. Quote: Did the FBI infiltrate or surveil the Trump campaign for political purposes? If so, it wouldn’t be the first time. If the FBI actually suspected Russian interference, why didn't they warn him, instead of collecting evidence to implicate him. It was an attack, not an investigation.